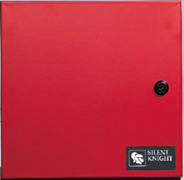 Note: The Silent Knight 5128 is designed to mount within the control panel. For a stand-alone communicator, use the 5129, which has it's own enclosure and is designed to mount near the FACP. The 5128 and 5129 (5128/29) are four channel slave fire communicatorsdesigned to monitor UL listed local fire alarm systems. The 5128/29 are acost-effective answer to most fire communicator applications and areeasy to install and service. The 5128 and 5129 (5128/29) are four channel slave fire communicators designed to monitor UL listed local fire alarm systems.